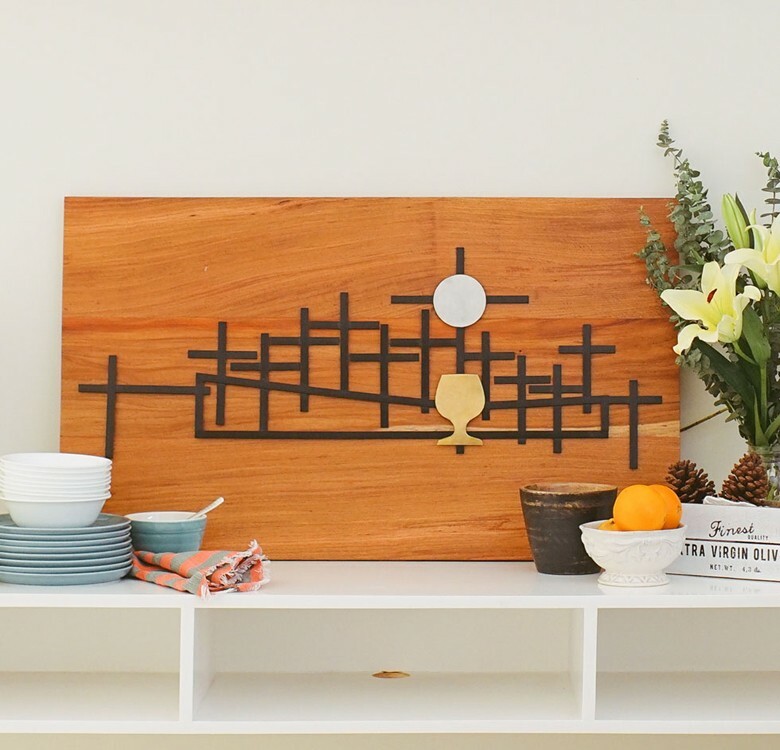 More than just being decorative, this Last Supper board is a great reminder for you to stay in touch with your spiritual beliefs. 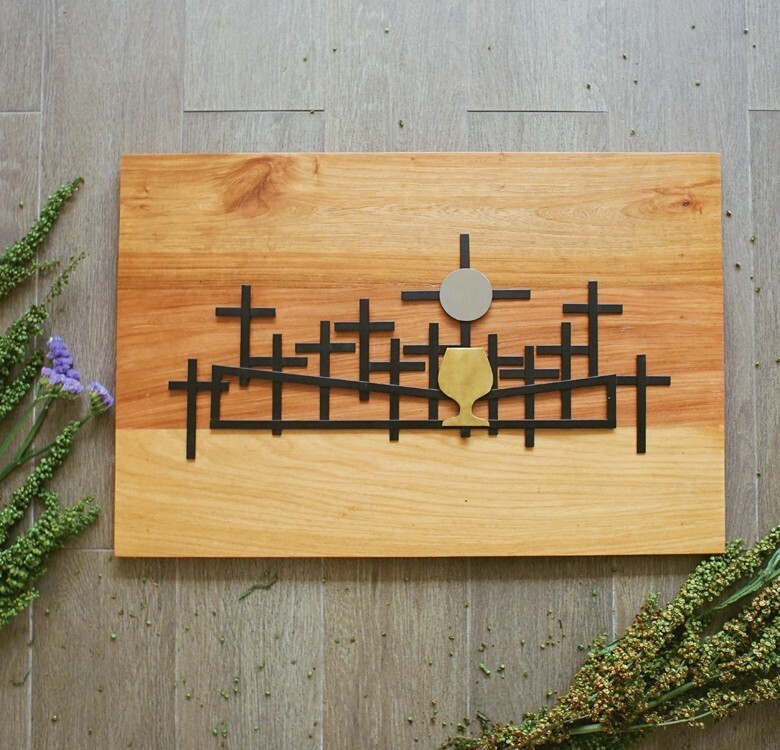 Features a tall cross surrounded by 12 shorter crosses symbolizing Jesus and his 12 disciples in a polished and sharp design. Makes a great addition to your contemporary home. Lovingly crafted by Filipino artisans using Narra. Available in 2 different sizes, prices start from Php3200. 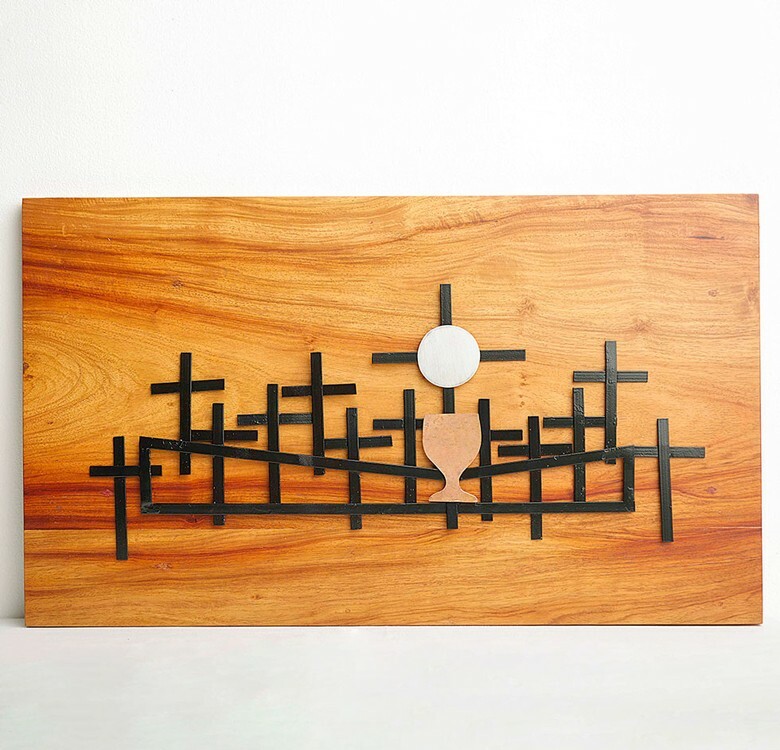 as decorative accents to highlight Christ in the midst of art. The published rate is already inclusive of delivery within Metro Manila. 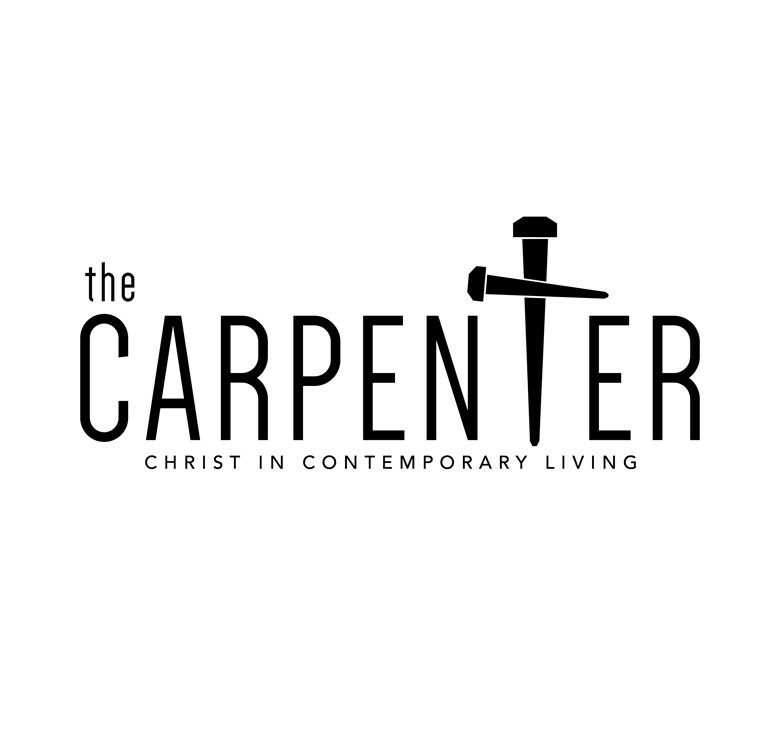 12 INCHES - 8" x 12" x 1"
16 INCHES - 9.5" x 16" x 1"
THE CARPENTER is a religious concept store for contemporary living. The brand curates modern and artisanal religious pieces, allowing the Filipino of today to perfectly blend tradition and design. Pieces are locally crafted, using highly quality artisanship and materials like narra, kamagong, and steel.